Customize your WordPress site in minutes and keep the site design under your control with 100% front-end Style Editor. 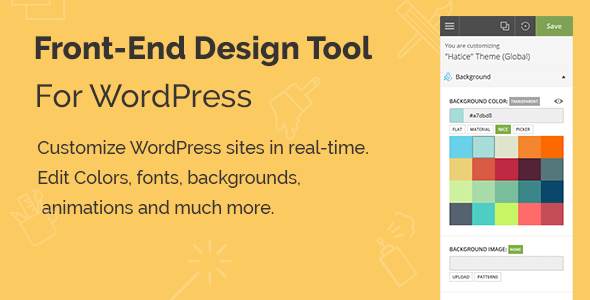 Yellow Pencil is a visual Style Editor WordPress plugin that you can use with any theme and plugin to make customizing your website much easier. Customize your WordPress site in minutes. Fonts, Colors, Animations and more. Keep the site design under your control with 100% front-end Style Editor. # Extra Security: Added nonce (token) for all action.